It is very irritating to know that our Micro SD card is locked and we don’t know the password to unlock the Memory card. We can’t transfer data from locked Micro SD card and we try to find a way to Unlock Micro SD card of our Phone. So today I will tell you the simple trick to unlock your memory card, which is very easy to do and don’t require any technical skill. The Nokia mobile phone can be used for multimedia and other storage functions. The handset saves all items, such as music and pictures, to a memory card instead of the built-in storage. 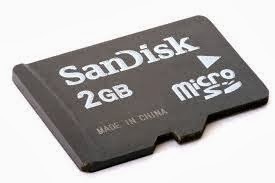 Memory cards such as a microSD can be locked to prevent unwanted access to your private items. The card cannot be used in any other phone. If you purchased a used card or forgot your password, you can unlock the memory card. 1 – Turn off the phone and insert the memory card into the memory card slot and turn on your Phone. 1 – Turn off the phone and insert the memory card into the memory card slot. Turn the phone back on. 4 – Click “Delete Password” when the window prompt appears. Make sure the message “Memory card will be unlocked, do you want to continue” appears. Click on the option for “Yes” to confirm. 5 – Scroll down to the password field and enter in the default password. If you do not know the password, the default Unlock code is either “12345″ or “1357.” Click “OK” to delete the password from being required.